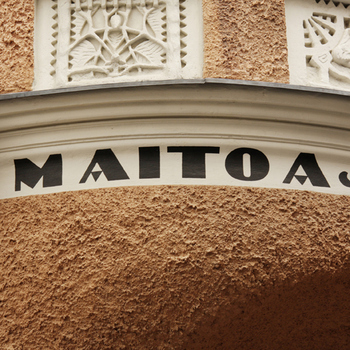 Napa takes part in the program of World Design Capital Helsinki in 2012! FONT WALK MAPS ARE OUT OF PRINT! Thank you to everyone who took part in our urban treasure hunt! Hopefully many of you continue to spot interesting typography and other details in the cityscape throughout the summer, and beyond! Cities are full of visual stories. Signs and symbols, letters and numbers – their main purpose is functional, to give information. What if we looked at them from another angle: as something that, in addition to being informative, can be aesthetically pleasing or tell an interesting story? Fontwalk is an independently taken stroll up and down the streets of Kamppi, pointing out details and exploring the visual role of graphic design in the streetscape. The route takes approximately 45 minutes to walk and is based on a map distributed free of charge at Napa Gallery. Thirty-one destinations illustrate the past and present of typography and graphic design, and also offer a glimpse of the micro history of the area. The map is designed by graphic designer Camilla Pentti together with Napa and will be available at Napa Gallery from April 26, until the edition runs out. 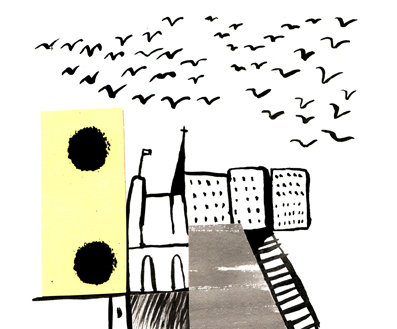 The series of exhibitions entitled ‘Yellow City – illustrated stories from Helsinki’ is based on the book with the same title combining illustrations and literature, to be published in early 2012. The exhibition portrays the nature of illustration as utilitarian art: how an illustration is created to order. For the book project, 17 illustrators from Napa Illustrations Agency invited a Finnish author whose text they wanted to illustrate. In the series of exhibitions around the city throughout the year, there will be artist interviews, workshops and other additional events. ‘Yellow City’ is organised by Napa Illustrations Agency. 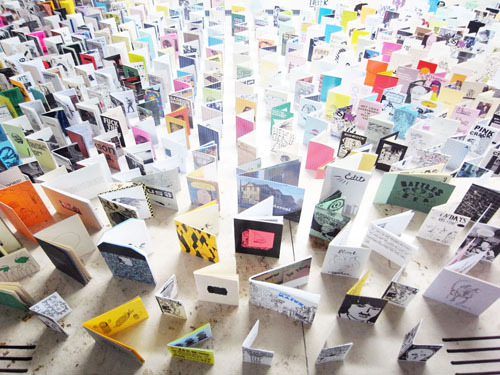 Bookies is a seminar on artist and designer-led publishing as a vehicle for artistic expression and mode of distribution of contemporary art today. By exhibitions, talks and discussions by key figures in the field, Bookies will give the audience a comprehensive idea of the current shifts in independent art publishing and its design that are shaping the ways we experience contemporary art. Aimed at professionals, students and enthusiasts alike, both the two-day seminar and the two month-long exhibitions are free for all to attend. With Bookies we hope to help build bridges between art and its audience, the work and its representation through design. During the event, Independent publishingers offer a selection of their publications for purchase onsite at Kiasma and through Myymälä2 and Napa shops. Napa Gallery will present exhibitions by Nieves (CH) and Scrollster (UK/CAN). Napa Gallery closing doors in the end of 2012 – New Napa & Paja shop opens in 2013! New art magazines FROG and VERITIES available at Napa!